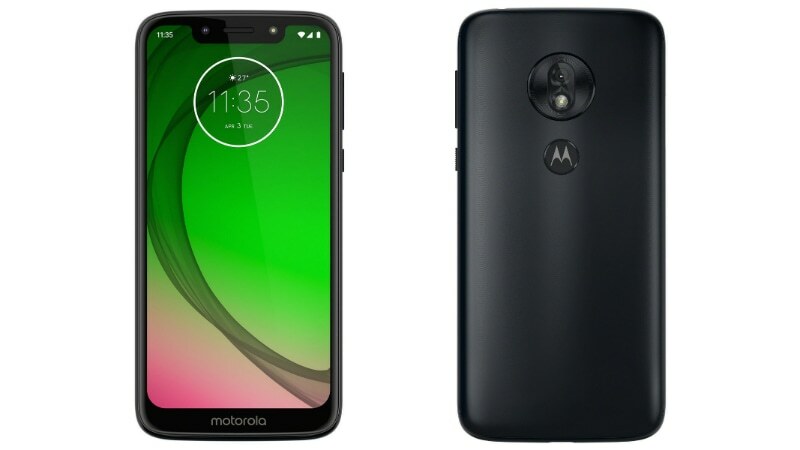 Moving to the specifics of Motorola's new smartphones, the new Moto G7, Moto G7 Plus, Moto G7 Play, and Moto G7 Power run on Android 9 Pie, which is currently the latest version of Android. The phones sport display notch of varying sizes with small bezels, however they still fall short of the current trend of packing full-screen or almost full-screen displays. 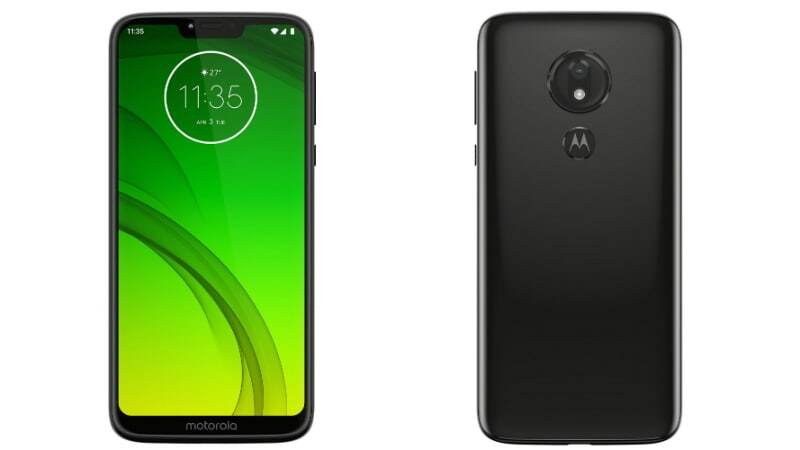 Other key features of the Moto G7 smartphones include rear fingerprint sensors, 4G LTE support, and other usual connectivity options. Motorola has also included a number of camera-specific software customisations in the G7 phones, including Smart Composition, Auto Smile Capture, and Super Slow Motion (250fps). Read on to find out the full specifications of each model in the Moto G7-Series. The Moto G7 Plus retains the G7's 6.24-inch full-HD+ (1080x2270 pixels) Max Vision screen, but packs Qualcomm's Snapdragon 636 SoC, clocked at 1.8GHz, with 4GB of RAM. There is also 64GB of inbuilt storage, which can further be expanded using the microSD card slot (up to 512GB). 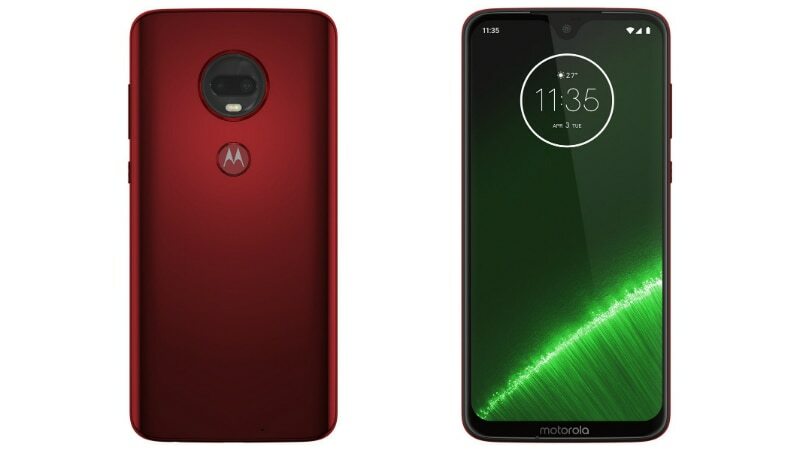 For the photo enthusiasts, Motorola has packed a dual camera setup on the back with a 16-megapixel primary sensor with an f/1.7 lens and 5-megapixel secondary sensor with an f/2.2 lens. The dual-camera setup also supports optical image stabilisation. For selfies, there is a 12-megapixel with an f/2.0 lens. Additionally, the phone will include a 3,000mAh battery. The Moto G7 Power comes with a slightly smaller screen than the Moto G7 and G7 Plus at 6.2-inch and it just packs an HD+ (720x1520 pixels) resolution. The Moto G7 Power's major highlight is going to be the 5,000mAh battery on-board that the company claims will be able to last for 55 hours. Additionally, the phone features 32GB of inbuilt storage with 3GB of RAM, and octa-core Qualcomm Snapdragon 632 SoC clocked at 1.8GHz. 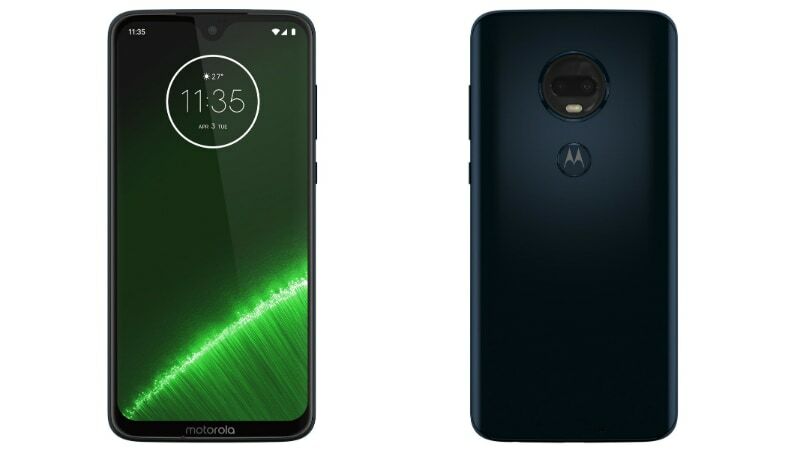 In terms of the optics, Motorola has included a 12-megapixel single camera with an f/2.0 lens on the back as well as an 8-megapixel front shooter with an f/2.2 lens. Lastly, the Moto G7 Play, which is the cheapest model out of the four, sports a 5.7-inch Max Vision screen with HD+ (720x1512 pixels) resolution. The phone is powered by Qualcomm's Snapdragon 632 SoC with 1.8GHz clock speed, coupled with 2GB RAM. Additionally, there is 32GB of inbuilt storage with a microSD card slot (up to 128GB) and 3,000mAh battery. For the imaging needs, the Moto G7 Play comes with a single 13-megapixel shooter on the back with an f/2.0 lens and an 8-megapixel selfie camera on the front with an f/2.2 lens.